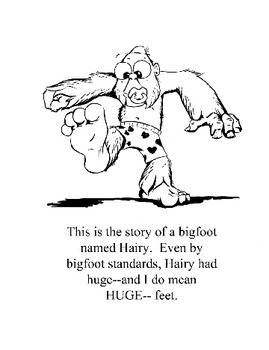 "Hairy" is an 8-page story of a bigfoot creature who has to deal with being made fun of because of his big feet. 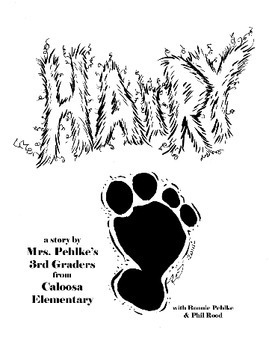 This story is drawn by me, but the character and story were conceived of and written by a class of 3rd Graders at Caloosa Elementary School in Cape Coral, FL when I visited to talk about elements of story. 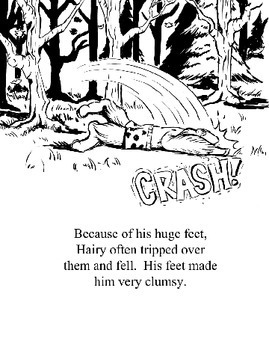 I like to use this story as an example to kids I teach that anyone can make up and write a good story.